Click here for World's Best Private Banks 2018. The year 2017 provided breathing space for the global private-banking industry. Soaring stock markets pushed assets under management up to more than $17 trillion worldwide. Most of the year passed without any fresh Panama Papers–style scandal. The world turned its attention to bigger problems. Private banks took advantage of the lull for tactical improvements on at least one front: expenses. The industry slashed its average cost-to-income ratio by more than 3% in 2016, according to London-based analyst Scorpio Partnership. The economies continued this year. Yet private banking still faces a large strategic, if not existential, challenge: adapting from centuries of focus on conservative, multigenerational European and North American wealth to new wealth creators who tend to be entrepreneurial and Asian. Part of the challenge is creating with clients a new digital relationship that neither sacrifices the intimate counseling many still crave nor bankrupts the provider with the investment involved. Another part, for the industry’s dominant global giants, is fending off aggressive new Asian competitors that have long-standing connections with the continent’s rising rich. Above all, private banking needs to establish a new long-term raison d’être, as its traditional role in tax avoidance shrinks and clients increasingly want to manage their own finances instead of leaving them in their banker’s hands and checking in once a quarter. Two recent survey findings underline the industry’s shifting landscape: Just 20% of Asian high-net-worth individuals use a private bank, compared to 70% of their North American counterparts (according to Ernst & Young); and three-quarters of US “millennials” ages 35 and under intend to be “self-directed” with their finances (say Deloitte and Merrill Lynch). Global Finance’s Best Private Banks awards celebrate the institutions that are meeting these challenges with fresh energy and creativity. Repeat world-champion UBS has doubled down on wealth management as a core business, but integrated it with the capabilities of a global investment bank and brokerage to attract the rising breed of activist rich. Zürich-based rival Credit Suisse is following suit, with particular success in Asia. So are US bulge-bracket houses like Citigroup, which wins as both Best Private Bank in North America and best globally for net worth of $25 million or more. East Asian banks are leading the way in online transformation, less burdened by legacy systems and clued in to a hyperconnected clientele. Singapore-based DBS takes the award for Most Innovative Private Bank in the World, while South Korea’s KEB Hana Bank is No. 1 for digital client solutions. China Merchants Bank gets Best Private Bank for New Customer Segments, as the high-net-worth population explodes in its native land. Global Finance staff select winners for these awards based on entries submitted by banks, company documents and public filings. No proprietary information was sought, shared or used in the awards process. We consider local market knowledge, global footprint and investment breadth and sophistication. Because metrics are rarely public in this sensitive corner of finance, we incorporate perspective from analysts and consultants that focus on this sector. Performance data was also drawn from industry sources including Scorpio Partnership’s Annual Private Banking Benchmark and Asian Private Banker magazine’s regional league tables. 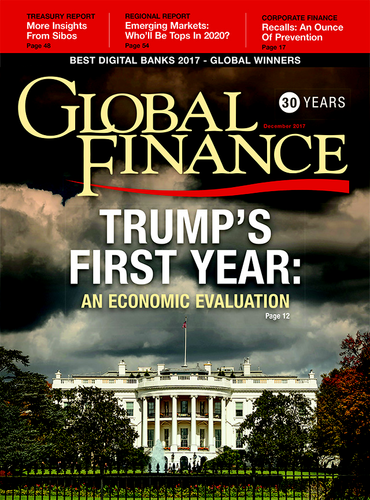 Size and growth were a factor, but Global Finance also considered creativity, uniqueness of offering and dedication to private banking as a core business, either globally or regionally. The biggest and still the best, UBS has spent the past five years reshaping its global business around wealth management; and now it’s paying off. While rivals juggle strategies to find a winning geography or market niche, the Zurich-based powerhouse stays on a steady but measured global offensive—adding 100 bankers in Hong Kong or buying out a swathe of Latin American operations from HSBC, to name two recent moves. Far from resting on its laurels, UBS invests heavily in technology through its in-house Innovation Lab. While some large rivals make themselves exclusive enclaves for the super-rich above $10 million or even $25 million, UBS remains open to the broader traditional universe starting at $1 million. With a history dating back 176 years, Safra Sarasin is proud to remain a discreet, independent private bank of the old school, focused on quiet preservation of multigenerational wealth. While bulge-bracket rivals are magnetized by potential growth in Asia, Safra is quietly consolidating bits of European business they leave behind, like Morgan Stanley’s operation in Switzerland and Credit Suisse’s in Monaco and Gibraltar. Autumn 2017 brought another incremental transaction, as Safra picked up Israeli Bank Hapoalim’s assets in Switzerland and Luxembourg. The bolt-on acquisitions add up: Safra’s AUM rose 8% and profit 9% in its last reported results. Clients who prefer a more traditional approach to wealth management have a strong alternative. Private banks in Hong Kong have the luxury of lapping up wealth that overflows from the Chinese mainland. But Singapore has emerged as Asia’s No. 2 private-banking center based on creativity and forward thinking. DBS is the outstanding example of a bank that has leapfrogged the Swiss white-glove legacy approach into a digital future that fits well with its regional clientele. The hub is an iWealth platform that increased high-net-worth customers’ online trading by 75% last year and added 45% to what the bank calls online AUM. The trading platform is integrated with the bank’s pan-Asian brokerage; so iWealth users are pinged with up to 100 bits of research or trading ideas a week, turning their phones into the cockpit of a financial Starship Enterprise. It may not be quite enough to “make banking joyful,” as DBS’s slogan declares; but it is pulling in customers, with asset growth of 8.3% in 2016, according to Asia Private Banker magazine’s AUM League tables. More than that, DBS is pointing the way to the future for the whole global industry. Every bank has its pet charitable causes. But J.P. Morgan is a clear leader in combining its financial prowess and global reach with urgent social missions. One example: partnering with the Bill and Melinda Gates Foundation and big pharmaceutical producers on the Global Health Investment Fund, which looks to finance new life-saving technologies while consortium members cushion the risk if a new technology fails. Other initiatives range from a $68 million “impact investment portfolio” to jump-start socially beneficial businesses around the world, to the Financial Solutions Lab, which backs technology aimed at improving family money management. J.P. Morgan’s innovative do-gooding positions it as a prominent partner for the emerging “social entrepreneur movement,” and as a magnet for emerging rich millennials, who are famously eager to marry their technical capabilities to worthy causes. While global banks wait patiently for millennials to get rich en masse, a process that could take decades, China Merchants has emerged as the go-to wealth manager for a flood of its citizens who took the express route to high net worth. Launched just 10 years ago, CMB’s private bank already manages some $240 billion from 15,000 clients and is growing by more than 30% a year, according to Scorpio. The next step is to tap the growing Chinese diaspora and take domestic clients’ money offshore, with offices in global financial centers from New York to Sydney. By this time next year, CMB may reach its stated goal of being the biggest private bank in Asia. It needs to expand by only another 20% to overtake UBS on the fastest-growing continent. With all the buzz around supporting entrepreneurs as they create wealth, it’s easy to forget that the most critical moment for a family fortune is when it passes hands. Research on the subject is sobering: Three-quarters of rich families lose their wealth within three generations. BNY, which was founded by Alexander Hamilton in 1784, knows a thing or two about continuity itself, and deploys an especially well thought-out intergenerational program for clients. “Family governance” specialists bring clan chiefs and their heirs together in a program that melds Finance 101 with a form of group therapy, searching for common ground on values that can glue fortunes together and prevent them from dissipating. An increasingly important avenue is “strategic philanthropy,” which can allow disparate siblings and cousins to unite around wealth preservation via a foundation or other giving structure. Clients seem to like this long view. BNY, the 10th-biggest US wealth manager and No. 21 globally, boosted AUM by 10% this year and revenue by 5% in the year to June, while boasting a 97% customer-retention rate—impressive in these restless times. Singapore isn’t the only Asian country where private banks are pioneering tech-forward innovation. KEB Hana, South Korea’s largest financial institution, has been offering private-banking clients interactive online investment advice, or “robo” advisory, since 2013. This year, the bank rolled out a new generation called HAI Robo, which assembles an investment portfolio based on a risk/return questionnaire and reams of 10-year performance data from global financial markets. More than half of KEB Hana’s high-net-worth clients tried it out within the first month. Aside from wowing the clientele, HAI Robo helped its creators cut costs. KEB Hana slashed headcount by 9% in 2016, even as client numbers and AUM rose by a similar amount. The artificial-intelligence interface should also help the bank as it steps up efforts to recruit prosperous Korean émigré customers from Shanghai to Vancouver. The big pools of shariah-oriented wealth may be elsewhere, but Malaysia-based Maybank remains the class act of Islamic private banking, thanks to innovation and professionalism. The bank turned in another impressive year in 2016–2017, with 9.6% growth in AUM and 10.6% in the client base. You don’t have to be Muslim to love Islamic banking in Malaysia, apparently. Maybank reports that three-quarters of its clients are ethnic Chinese. That’s no wonder, with average annual investment returns above 12% from a choice of 20 shariah-compliant mutual funds. (Shariah-compliant funds don’t invest in any securities connected with alcohol, tobacco, gambling or … banking.) But the Islamic identification, plus geography, does give Maybank a leg up on the emerging-wealth market in giant majority-Muslim neighbor Indonesia. It already has two-dozen offices on the ground there. HSBC’s private bank spent some years in retreat mode, largely abandoning once-high-flying operations in offshore centers like Switzerland and Monaco after various run-ins with regulators and a prominent place in the Panama Papers. The bank is finding its feet now much closer to the ground, focusing on historic turf in the UK and East Asia, and on a strangely neglected client category: upper-level corporate executives. Every bank declares itself the entrepreneur’s best friend. But a much larger global army of C-suite officers quietly reach the high-net-worth ranks without the respect they deserve. HSBC has access to this population via its far-flung commercial bank, which may hold accounts for them or their employers. And it has thought through an approach that deserves the new industry buzzword of holistic, from deconstructing each individual’s financial goals and contingencies to realizing them in the markets. A brand-new HSBC private bank that opened last year in overlooked-but-prosperous Australia complements the global shift in focus. Millennials are the white whale of wealth management. Persons born between 1980 and 2000 are primed to inherit $30 trillion over the coming decades and make trillions more on their own. But private banks’ efforts to capture them have largely come up empty so far. The generation accounts for just 6% of industry assets worldwide, consultant BCG estimates. Morgan Stanley, already the world’s No. 3 private bank by assets, is taking an appropriately long view on capturing this elusive clientele. It’s focusing on the highest-percentage leads, children of existing customers, with workshops on subjects from venture capital to prenuptial agreements. And it’s establishing a long-term position on one of the millennials’ presumed chief concerns by funding the Institute for Sustainable Investing. Getting a generation raised on the sacred principle of disruption to trust a pillar of their parents’ and grandparents’ establishment is a challenge. But millennials’ views may evolve by the time they get their hands on the money. For every talented business owner who has cashed out of a nine-figure IPO, there are dozens more amassing smaller fortunes. While the bulge-bracket banks increasingly target the former group with ever-higher thresholds for private-banking service, Santander throws its door open to those still striving with a mere $1 million in liquid assets—even less under an innovative new program in the UK. Santander can integrate this clientele seamlessly with its far-reaching commercial-banking services, growing aggressively everywhere but the arguably overbanked Asia. Nor is it a bit player in private banking, ranked 19th globally with AUM growth of more than 9%. It’s a winning combination of weight and accessibility for the entrepreneur who is not Bill Gates just yet. With impeachment, recession and street fighting in its native Brazil; a commodity bust through other key Latin American markets; and sputtering world trade and the looming threat of protectionism; Itaú Private Bank might be excused for having had an off year. Just the opposite is true, however. Client assets and the bank’s revenue both jumped 13% in the year to June 2017, while net income soared by 43%. That’s partly the fruit of a major streamlining in 2016, when Itaú sold off operations in some noncore markets to focus on Brazil and five South American neighbors; and it’s partly the result of a private bank doing its traditional job of providing a trusted haven in turbulent times, but not entirely: Itaú unveiled a new digital revamp this year that keeps it up-to-date with global trends. The bank has some outstanding rivals for the Emerging Markets award, particularly in East Asia, but its performance under adverse circumstances stands out. Société Générale is another top banking name bucking the bulge-bracket trend toward super-rich global citizens. France’s No. 3 bank is focused on its native soil in Europe, and on the emerging wealthy, with a mere €500,000 ($582,240) buy-in for private-banking services. It greatly extended its regional reach with the 2016 acquisition of venerable UK banker Kleinwort Benson, and is shoring up its presence in old-school continental offshore playgrounds like Monaco. Société Générale offers the mass affluent a lot for their money, from a dedicated team of ex-investment bankers who can tailor financing packages for clients’ growing businesses, to specialists in Mediterranean yacht financing. It is working hard to become the go-to wealth manager for France’s growing, usually underappreciated, cadre of tech entrepreneurs. And it’s breaking new ground in Eastern Europe, starting with the underserved Serbia. 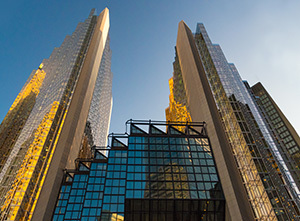 Royal Bank of Canada has visibly searched for a winning formula in private banking in recent years—pushing hard into Asia, then pulling up; revamping its Caribbean operations to focus on the Cayman Islands and Bahamas. But it seems to have found the right mix now. RBC was the fastest growing among the top-10 global private banks last year, vaulting into fifth place with 14% asset growth. The secret was hiding in plain sight: outstanding performance among the merely rich in its North American heartland. Private banking may be growing fastest in the East, but most of the business will be in the West for some years to come. Citi is the seventh-biggest private bank in the world and No. 2 in Asia, but its focus is worthy of a start-up. It wants the superelite “global citizens,” as the bank calls them, who form the cream in everyone else’s private-banking pie—and no one else. Citi puts its own worldwide resources at this favored clientele’s disposal: lending huge sums for asset acquisitions, looking after investing the proceeds, and counseling on the odd fine-art purchase in between. A program that offers a private “host banker” as customers jet through various jurisdictions has been a particular success, the bank reports, with participation rising by more than half over the past year. Citi faces stiff competition for the business of the global 0.01% from a number of its bulge-bracket competitors. But it will certainly get its share. After some years of treading water, Citi’s private bank has found a winning strategy in a laser focus on ultrahigh-net-worth “global citizens.” The bank puts its balance sheet and worldwide reach behind these elite customers, actively participating in building their wealth as well as safeguarding it. The market has taken notice, with global AUM and revenue both growing at a healthy clip, and a rebound in Asia that locks in Citi’s No. 2 position there. While clients traverse and transact across continents, Citi draws on its deep roots in New York culturally and for management talent. The competition in North America is the toughest anywhere for private banking, but Citi stands out this year. The giants of US private banking are based in New York and tend to look outward toward the wider world. BMO, which set up shop in Chicago when Bank of Montreal acquired Harris Bank in the 1980s, has by contrast focused inward, on America’s dynamic interior. BMO research found in 2013 that two-thirds of US high-net-worth individuals were self-made, and more than one-third were women. The bank has acted on that knowledge, establishing its Center for Technology and Entrepreneurship as a physical hub and reaching deeper to service business owners whom globalist rivals might neglect. The latest initiative is a mentoring program for 20 start-ups from what BMO calls “underserved communities,” which range from women in technology to Hispanic entrepreneurs. BMO combines this local outreach with world-class private-banking muscle and infrastructure, ranking No. 12 globally with more than $300 billion under management. The Midwest may be flyover country to some. For BMO, it remains the land of opportunity. Many (non-Swiss) European private banks have had a rough time the past few years, retreating from earlier global ambitions and slipping in league tables as Asian rivals advance. BNP Paribas is the exception. France’s biggest bank is holding steady in a European theater troubled by slow growth and regulatory eruptions, while growing voraciously in Asia. It jumped two slots to eighth place there with 14.7% AUM growth in 2016. This year, Paribas management set a goal of reaching Asian private banking’s top five, an ambitious target that will entail overtaking Bank of Singapore, DBS and Julius Baer. The private bank moved its global IT headquarters to Singapore a few years ago and has been partnering with a dozen fintech providers, yielding a digital platform that is ahead of the curve and integrated across borders. Cutting-edge technology and traditional French elegance make a winning combination for the emerging rich in Asia, and Europe too. Rather than chase the nouveaux riche in Asia, as some rivals are doing, France’s No. 3 bank is strengthening its position in the European homeland. A major step came early this year when it completed the acquisition of redoubtable UK wealth manager Kleinwort Benson. SocGen is also bucking the trend toward the super-rich, starting private banking services at €500,000 to catch rising entrepreneurs as they create wealth. It has attached a dedicated team of ex-investment bankers to the private bank to nurture the businesses as they develop. And it is branding itself as the financial friend of the often-underestimated French high-tech ​community–partnering, for instance, with the FrenchConnect network for homesick compatriots in London. Nor does Société Générale neglect its entrepreneurs after they have made it big. With deep traditions in Monaco, and now the Channel Islands, it can offer a full menu of offshore services, not to mention its niche service for financing Mediterranean megayachts. East Asia is the growth cauldron for global wealth, and DBS the champion for a group of regional banks doing what would have seemed impossible before 2008: competing head-on with global giants for the area’s private-wealth spoils. Growing AUM 15% annually on average for the past five years, DBS is breathing down the neck of Julius Baer to crack Asia’s top five, and they both may soon catch HSBC on current trends. DBS has turned being the new entrant to its advantage with leapfrog progress on digital technology that suits Asia’s hyperconnected emerging rich. (See Most Innovative Private Bank in the World award.) It has also blazed a trail for local competitors Bank of Singapore and UOB to turn its native city-state into a powerful wealth-management ecosystem. Credit Suisse has gone all in for Asian entrepreneurs, and it shows. When a new CEO took the reins in 2015, the bank followed its Zurich crosstown rival UBS in putting wealth management back at the head of the business model, wagging a diminished investment-banking/brokerage tail. But where UBS grabbed private-banking assets across the globe, Credit Suisse has focused like a laser on the Far East. It reorganized its disparate conglomerate elements into a unified Asia-Pacific Financing Group that can lend to, counsel and invest for the region’s burgeoning wealthy class under one seamless roof. A separate ultrahigh-net-worth group caters to the most successful. The strategy was quick to yield results: Asian assets under management climbed by 8.9% in 2016, solidifying Credit Suisse’s No. 3 regional ranking behind UBS and Citigroup. Lending rose by 12%. Now that the model is up and running in the major wealth centers of Hong Kong and Singapore, the bank’s next step is expansion into second-tier markets like Thailand, where thousands of family-run companies are joining the HNWI ranks and searching for an experienced partner to help with questions of diversification and succession. Central and Eastern Europe has seen its own economic miracle since the fall of Communism, one frequently overshadowed by the tigerish development of East Asia. But building a wealth-management network across the region is painstaking. The more-stable markets, like the Czech Republic or Hungary, are small. The big markets—Russia, Poland and Turkey—are subject to political and regulatory upheaval, especially lately. 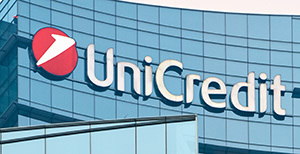 Milan-based UniCredit has taken the pains, with a private-banking franchise that serves 35,000 clients across nine countries, plus its Austrian subsidiary Schoellerbank. And it is reaping rewards, as the greater European economy finally picks up some steam. Assets under management expanded by more than 12% in 2016 to €12.3 billion, and revenue by 9.5% to €80 million. There was one setback as the nationalist government in Poland forced UniCredit to sell its stake in Bank Pekao (which wins our Polish country award). But otherwise, the expansive Italians are surfing the region’s volatile politics with skill. Itaú may be the top private bank in its native Brazil. But BBVA has the broader reach and deeper franchise regionwide. It dominates Mexico with its Bancomer subsidiary and is well positioned in a resurgent Argentina. A secret weapon may be its large banking network, via subsidiary BBVA Compass, in the US Sunbelt—which despite prevailing political rhetoric increasingly integrates with Latin America economically. More than a few wealthy families have feet planted on either side of the border. The Spanish neoconquistador also showed its high-tech credentials this year: Its mobile banking app was judged best in the world by US consultancy Forrester Research. That’s sure to lure more high-net-worth customers, as the LatAm economy recovers. The Caribbean’s tropical waters have become too choppy for many private banks, as the region is targeted by successive antisecrecy campaigns and the Paradise Papers follow the Panama Papers. Scotiabank, which first set up shop here in 1889 to finance the export of rum and sugar, is staying the course, with operations in 25 countries across the Caribbean archipelago and Central America. It continues to pick up bits that global giants like BNP Paribas and Citigroup abandon in Panama or the Cayman Islands. That strategy seems to be working out, judging by a 17% year-on-year profit jump in what Scotia calls “international banking” on its last quarterly earnings. One fact lost in the political media fallout over the Caribbean data dumps is that the region’s closed-door financial activity seems to be legal for nearly all its clients. Well-off families in the Persian Gulf and broader Middle East need a safe pair of hands now more than ever, as oil prices gyrate and political tension builds around them. Emirates NBD is providing it and has the numbers to show. The bank reports that private-banking income jumped by 35% last year and profit 23%, though that included the addition of some clients previously classified as institutional. 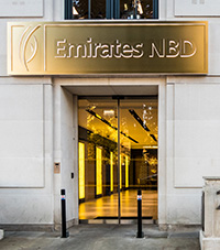 Secular and outward looking, Emirates NBD provides a welcome bridge between its core clientele in the Gulf States and Saudi Arabia and the bank’s global booking/trading centers in London and Singapore. It is also leading the move into digital interface in a region where banks are not yet quite as wired as their rich, cosmopolitan customers. The largest bank in Africa, with a 155-year history in South Africa, is energetically consolidating its position as wealth spreads across the rapidly growing continent. 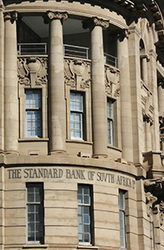 Standard added another 13% to its client numbers last year. It now operates in 20 African countries with more than one-third of its employees outside South Africa. This widespread clientele can depend on technology tailored to its transnational needs, like the proprietary Shyft mobile app that enables instant financial transactions in four different hard currencies. But Standard has not forgotten traditional relationship-building either, maintaining a busy agenda of golf tournaments or art openings for its high-net-worth elite. More than just a bank, Standard aims to be a common home for Africa’s emerging wealthy as their new global subculture develops. The bank has made a good start along that path.